Dimi Scuba Tours is currently offering a number of dive package specials at the El Sid Resorts. Bruce Partridge, the founder and chairman of Shearwater Research, took a break from a very busy day on the floor at DEMA Show to chat with DeeperBlue.com about the roots of the company and their new product this year. Mark Hagan, inventor of the Aquasketch, brought the prototype of a new product to DEMA Show this year. If you are looking for a challenging marine life encounter trip, Waterproof Cruises and Expeditions may have exactly what you are looking for. 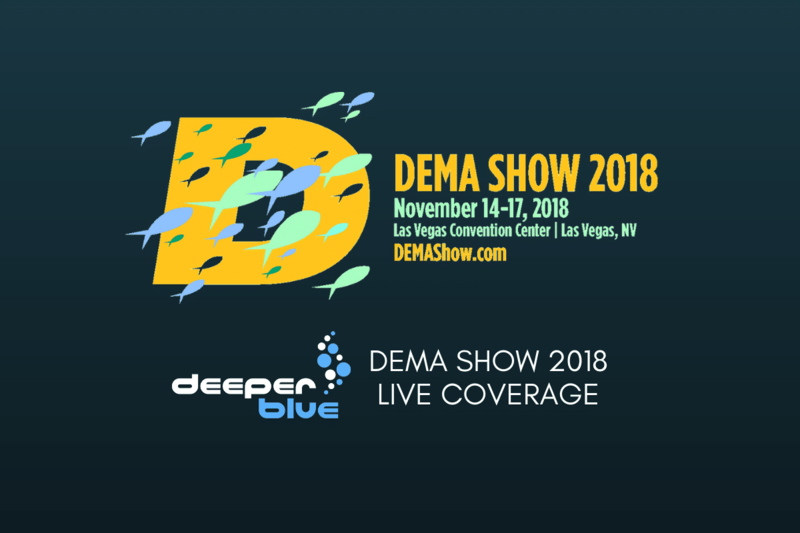 DeeperBlue.com was able to catch up with Mark McQueen at DEMA Show 2018 to get the low-down on the ScubaJet and what it is bringing to the table to truly enhance our days in the water. Garmin showcased its Descent Mk1 dive computer which is now available with a gray titanium bezel, sapphire lens and black silicone band at DEMA Show in Las Vegas. Light & Motion's SOLA dive lights have long been a favorite for underwater imaging, but the new Stella UW can provide topside light without burning out.